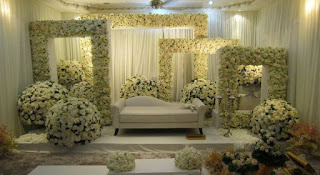 Weddinghousehold.com - An Indian Wedding is incomplete without decorations!. We know how important decorations are in an Indian Wedding. Every Indian Wedding is characterized by its traditions, cultural norms and rituals. And what’s a wedding without decorations? However, wedding decorations aren’t easy! A lot of hard work and perfect planning are required to decorate an Indian Wedding perfectly. Novelty, creativity, and unique ideas are what highly in demand in the wedding industry. Be it the couple, family member or the wedding decorators, all look for brand new themes every year. The big fat Indian weddings, which are a multi-day celebration with different events, there is more demand of unique themes for every event. Facing of a new year, search for new themes, color pallets and decoration ideas has also started. Here are eight stunning ideas for Indian wedding themes in 2019. With the contemporary changes and a stylish makeover, rustic will no longer be just rustic. In 2019, it will transform into charming rustic. Add modern amenities to the rustic activity and add uniqueness to your wedding decoration. Cakes with real fruits, DIY wooden walls, plants on table rich wood backdrops are some of the options to add rustic charm to your wedding. The groom and the bride who wish to relive the romance and glamour of the past always choose a vintage wedding theme. Actually, these are the vintage wedding themes, which never fade out. The wedding decorators in Delhi just bring some twist in the traditional themes like adding flowers to the bird cages or using floral walls, which have got highly popular after Kim Kardashian’s wedding. If you are planning on having a vintage wedding theme, you need to make sure that every part of the wedding is done in the vintage style especially the decorations for the wedding and the reception. In 2019, henna designs will not just be limited for application on hands. Give a twist to the table setting with henna inspired table clothes and napkins. You can match other decoration with the theme to give it a classy look with a whole new idea. 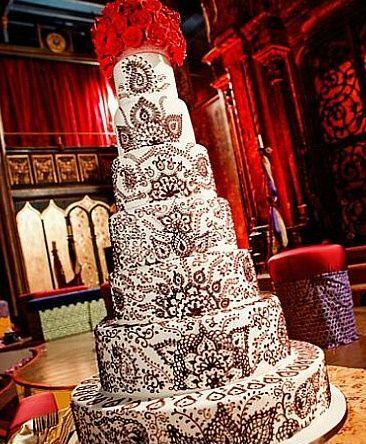 You can also encourage your friends to show their creativity by bohasking them to design henna patterns on napkins. Just equip them with the essential tools like colors, pens, brushes etc. Cast a romantic glow with jewel toned tea light holders on tables. The rustic mercury glass with jewel-tone also goes perfectly well with your rustic theme. If you want to draw more attention towards to tables and centerpiece, give height to the centerpiece by replacing the sparkling glasses with a lantern. 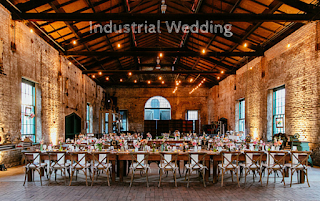 ‘Industrial’ is another popular theme on the rise. More and more couples are choosing an urban ambiance to showcase their wedding. 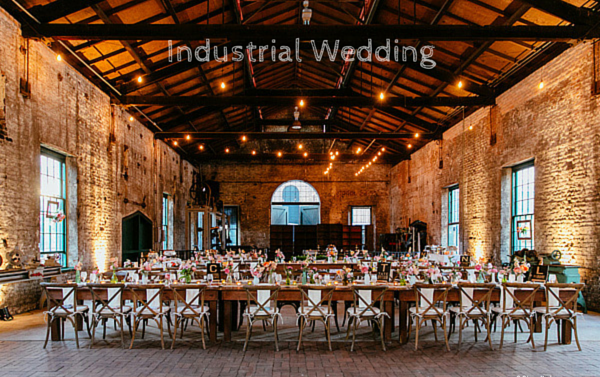 Expect these weddings to be take place in a renovated warehouse or factory with exposed brick and air ducts. The versatile lofty space will leave couples with a blank space to decorate with either urban accents like Edison light bulbs for a casual setting or can even glam up the space with chandeliers for a more refine affair. DIY wedding decorations of the trend of the day in Indian weddings. You can show your creativity while staying in tune with the nature with DIY decoration items made from environment-friendly or recyclable materials. ‘Bohemian Chic’ decoration is the unique wedding theme where the evolutionary product of the rustic theme wedding we look back in past years. Although vintage rustic weddings will still be a popular design this year, couples are adding a little flair with boho-chic style. 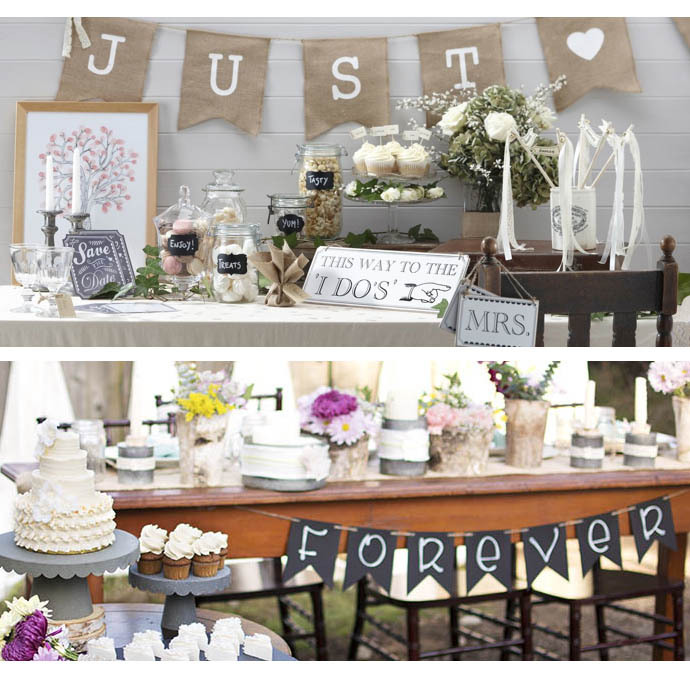 Imagine a vintage style wedding with a gypsy vibe and crafted from baby breaths, quirky prints, poster-ed walls. Couple’s will use handpicked bouquets, bold colors mixed with metallic tones, bold hues, bold dressing for the couple and earthy linens incorporating lace to create this free-spirited motif. See more How to mix and match bohemian style wedding dresses in here, so you will looks stunning and eccentric. 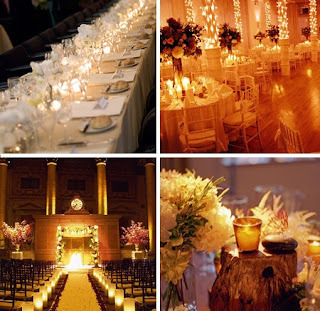 The latest trend of this wedding season is modern and minimalistic. 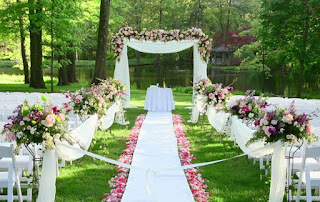 It means adding value, class, beauty and life to the wedding decoration with minimal things and simple colors. ‘Less is more’ will be the theme for 2019 to strike a right balance between elegance and opulence. So instead of adding big lights, make it simple with a sofa and fairy lights. Create a theme with the use of just one flower type. 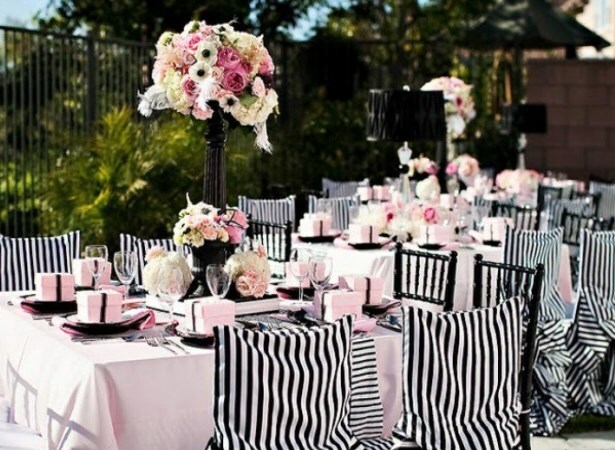 Your wedding decorator can give you more ideas as per the concept you have in your mind. If you have any confusion or your own idea which you want to combine with an expert’s expertise, hiring a wedding planner is the best suggestion for you. 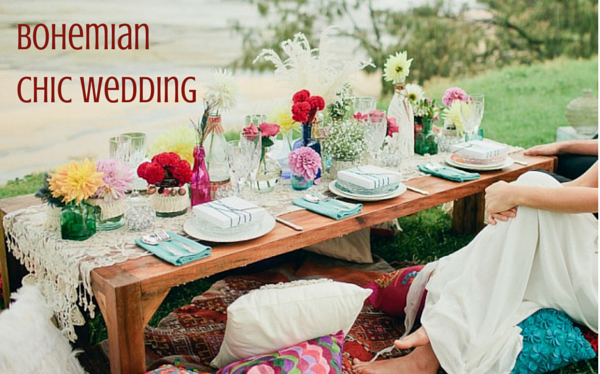 So, what is your favorite pick from these wedding themes? Let the world know through comments. 0 Response to "8 Stunning Indian Wedding Themes in 2019"